Did you know that European data center power consumption represents 1,4% of the total energy consumed by a country ? These results should also increase by 2020. Consequently, it is vital for your company to control the consumption of your server rooms and reduce it. 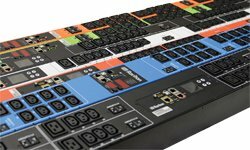 In order to achieve this goal, the use of intelligent PDU’s is essential but not only… Thanks to the expertise of your distributor A.N.S. and its exclusive partnership with Raritan, you can make significant savings. Because power supplies are essential elements for the correct functioning of IT and the companies that use it, take a close look at our intelligent solutions. They also optimise the IT security of your precious and expensive equipment. 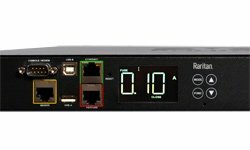 With the Raritan intelligent PDU you know exactly how much power you use and control your sockets remotely. As a result you can improve your data center energy efficiency. 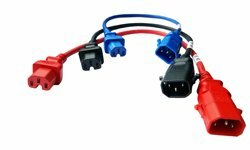 The most effective and completely secure power supply cables for the devices connected to the PDUs. Therefore, the accidental disconnection of your servers by anyone is over ! 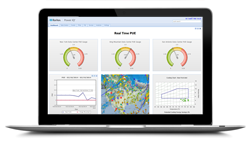 Monitor your data center’s environmental data and take action if necessary.The sensors will measure the temperature, the vibration, the humidity, the airflow and much more ! When 2 or more sources are connected, your devices will always receive power from one supply. In case of power failure, the feed is tranferred securely and your app is still running. 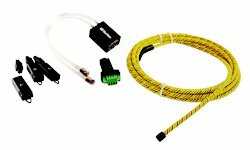 Keep a close watch on the consumption of your entire data center or computer room. Power IQ is THE software that will help you to make drastic savings on your consumption bill !